Nursery rhymes a part and parcel of kid’s life. There are thousands of nursery rhymes for kids! Still, there are plenty of all-time popular rhymes forwarded over decades and generations. You can enjoy an interesting collection of nursery rhymes for kids here ! 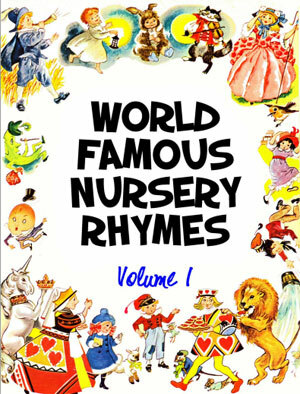 Besides, we bring you a classic collection of world famous nursery rhymes. A few rhymes listed in this eBook may not be familiar with the children. The specialty of this eBook is of course the pictures! The colorful painted pictures make this eBook more readable and enjoyable. The eBook has around 20 colorful rhymes. Every rhyme has the perfectly sketched character! Boys, girls, lion, horse, stars, angels, moon, cat, rat, monkey, and every character are illustrated beautifully. Two Little Kittens is a funny rhyme for kids. It talks about the constant quarrels between the two kittens! 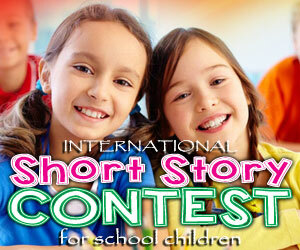 If all the world were apple pie – This rhyme is about beautiful imagination of a child! What will happen to the world if everything in the world becomes an apple pie!? What do to if all the sea water turns into ink? What do you do if all the trees become bread and cheese? There was an old man with a beard – Again a funny rhyme for kids! The picture of this long beard old man is excellent! The birds lay their eggs on the old man’s beard. Imagine how long and strong the old man’s beard would be! There are few sing along songs in this collection of world famous nursery rhymes for kids. And we do have the most popular and familiar rhymes here! Baa Baa Black Sheep, Early to bed, Pat-a-cake, Humpty Dumpty and a few more! This eBook is a classic collection of famous nursery rhymes! With a touch of vintage flavor, the rhymes are really enjoyable. Preschoolers as well as kinder garden children, who are familiar or unfamiliar with rhymes, will find this collection very interesting.